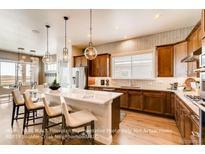 Find Berthoud, CO New Homes for sale. View Photos, Maps and MLS Data Now! With a finished basement, you would get an additional two bedrooms, full bath, game room and storage space. Estimated completion: June/July 2019. MLS#5565299. RE/MAX Masters Millennium. Please call 970-528-0352 for additional information. MLS#4858312. The Group Inc - Horsetooth. This home includes a patio and front yard landscaping. MLS#8008441. RE/MAX Masters Millennium. 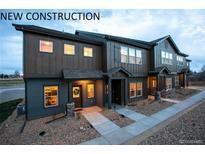 Berthoud Estates - Home is Under Construction. Move In Fall 2019. MLS#1761924. WK Real Estate. Photos are of a similar unit & not an exact representation of the listed home. MLS#8080608. The Group Inc - Horsetooth. Located in The Rookery which includes a TPC Membership ($30,000 market value). MLS#3054910. The Group Inc - Centerra. New Vision Has 6 Lots To Choose From. MLS#4040547. Porchlight Real Estate Group. Photos are examples of the floor plan only and may showcase options that are not selected in this particular property. MLS#6325107. RE/MAX Masters Millennium. Photos are examples of the floor plan only and may showcase options that are not selected in this particular property. MLS#6573222. RE/MAX Masters Millennium. Photos are examples of the floor plan only and may showcase options that are not selected in this particular property. MLS#8942658. RE/MAX Masters Millennium. Please call 970-528-0352 for additional information. MLS#9388682. The Group Inc - Horsetooth. Please call 970-528-0352 for additional information. MLS#6899311. The Group Inc - Horsetooth. Berthoud Estates - The owner's suite is towards the back of the home and has a luxurious bath attached along with a spacious walk-in-closet. MLS#2032194. The Group Inc - Harmony. Our homes come standard with hardwood, tile bathrooms, AC, stainless appliances, over head lighting, plus much much more. MLS#9321048. Stephen Balliet. The photos are examples of the floor plan only and may showcase options that are not selected in this particular property. MLS#9673460. RE/MAX Masters Millennium. Photos are examples of the floor plan only and may showcase options that are not selected in this particular property. 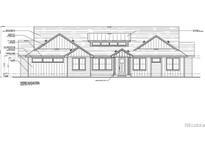 MLS#7812677. RE/MAX Masters Millennium. Interior Photos Are Renderings & Photos From Previous Sale.Price Includes A/C! MLS#9529878. Attitude Homes LLC. Main floor master w/ luxury master suite. Completion estimated for May 2019. MLS#5912126. Your Way Home. The Lowell Ranch plan features 4 bed 3 bathroom, two living room, Granite counter tops, tile bathrooms, AC, hardwood, Finished basement. MLS#4413555. Stephen Balliet. With a finished basement, there are additional two bedrooms, full bath, wet bar, game room and storage space. MLS#3119391. RE/MAX Masters Millennium. This home also has a back covered patio and includes front yard landscaping. Move in ready! MLS#1577847. RE/MAX Masters Millennium. This home will also include a patio and front yard landscaping. MLS#8898206. RE/MAX Masters Millennium. This home also includes a patio and air conditioning. MLS#8059802. RE/MAX Masters Millennium. This home also includes air conditioning. **Design Options Not Selected Yet*** MLS#5740158. RE/MAX Masters Millennium. The photos are examples of the floor plan only and may showcase options that are not selected in this particular property. Estimated Completion: April 2019. MLS#3806727. RE/MAX Masters Millennium.